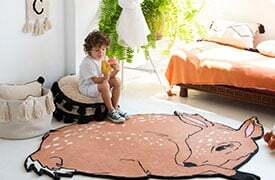 The Little Stars woolen rug is made with wool of the finest quality on a 100% cotton base. Its design is a timeless classic: on a rectangular background of soft colors are little ivory-colored stars arranged in an orderly way. 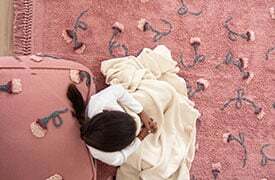 Crafted using the ""Hand Tufting"" technique and natural dyes, it is ideal for a baby's, boy's or girl's room, as well as for other places such as a living room, dining room or bedroom. 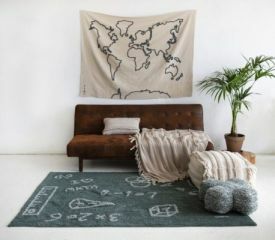 Thicker and more rigid than cotton rugs, woolen rugs are gaining ground in the international trends of decoration.